Finally, but quite quickly in the long run, the third volume of the Millennium 3 trilogy has been released for sale. Much remains to be attended to: Getting the word out to the Book Publishing Industry; producing the eBook Editions; and uploading a VideoClip (still in production) to the web and to YouTube. The Millennium 3 trilogy EXISTS! MAGOG-Millennium 3 passed quickly through the pre-production stages. Currently, we are awaiting postal delivery of the Print Proof Copy. Once that has been read and approved, the final volume of the Me3 Trilogy will be released for sale. Already we have settled on production of the Video Enhanced Press Release, but work on that cannot begin until the book is released.Every aspect of the book itself has been approved, including the Cover Art and Back Cover Text. 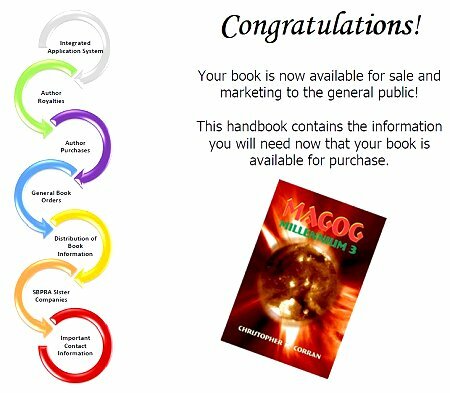 We are not permitted to promote or market MAGOG-Millennium 3 prior to its official release:- every inquiry prior to release is a lost sale, and our Publisher likes Royalties! MAGOG-Millennium 3 Contract is all Signed and Countersigned. Next is to follow the entire production process. We have it plotted but will not write the dialogue until FORTH-Millennium 3 is in the Shops – eLibraries.